The most important running event in the city will take place this year on Sunday, November 5. New York City’s world-famous route is a runner’s dream – it passes through all five boroughs of the city, providing a varied scenario that never gets boring even when runners hit “the wall.” This is also great news for spectators, as there are plenty of spots to choose from. Our first recommendation is to pick a location near restaurants, coffee shops or bars. Once the pack starts to thin, you might want to sit somewhere and grab a bite or two – you will also have access to restrooms (portable toilets are only for runners). There is no way to see the marathon’s start (Staten Island) – spectators can only watch from mile 3 onwards. The only way to see the finish (67th St on West Drive) is by purchasing Grandstand Seating tickets ($25-$50) or finding a spot in the Standing Spectator Area (inside Central Park from Columbus Circle to the south end of grandstands). Williamsburg and Greenpoint, Brooklyn (miles 10 to 13) – Why not choose a spot near a yummy-looking restaurant or coffee shop? First Avenue, Manhattan (miles 16 to 18) – Between 86th and 96th you’ll see runners speeding through the Upper East Side. Fifth Avenue between 90th and 110th Streets (miles 23 and 24) – This is a good place to watch if you want to see runners entering Central Park or if you are planning to go to a museum later. Central Park South to Columbus Circle (right before mile 26) – See runners getting ready for their sprint finish! If you happen to know someone who’s running the marathon or if you are lucky enough to be one of the 50,000 runners eager to cross the finish line, you might be needing some last minute gear. The following stores are near the Manhattan at Times Square and you’ll find everything from running gels and energy drinks to salt tablets, Vaseline and blister cushions. 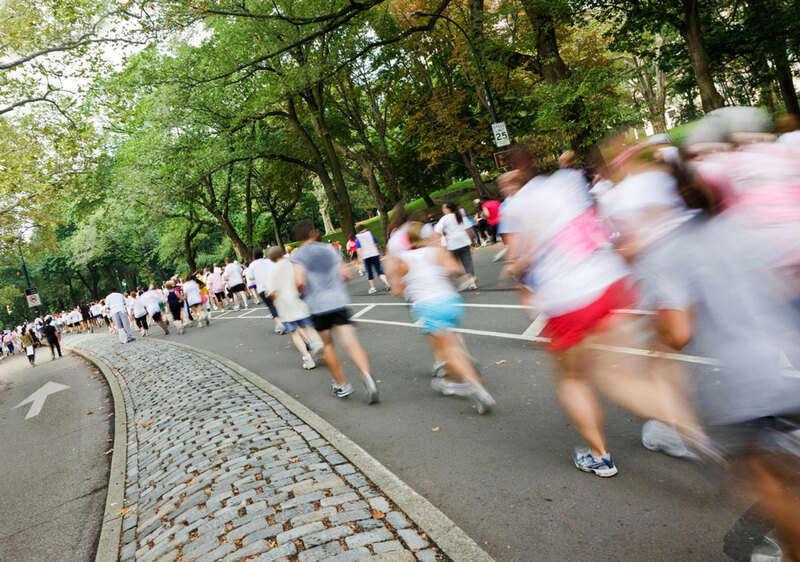 Recovery is important for runners and spectators - book your room to enjoy a retreat in the heart of NYC!